My baby is quickly turning into a toddler and we are always trying to find simple games to play with her since she is so interactive right now! 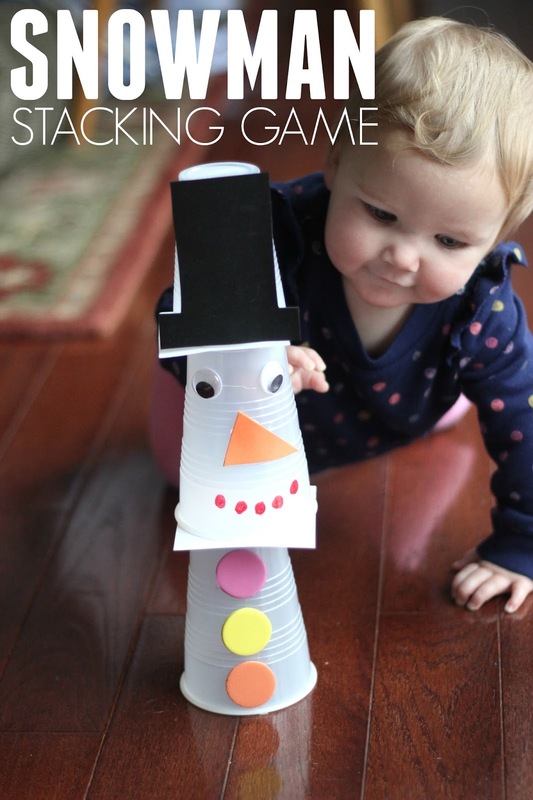 My preschooler loves stacking and my toddler loves knocking things over, so our snowman stacking game was the perfect activity for the two of them to play! My preschooler has had the croup for the past few days and I've had a terrible cold, so we've been enjoying snuggling up watching movies and just hanging out at home. 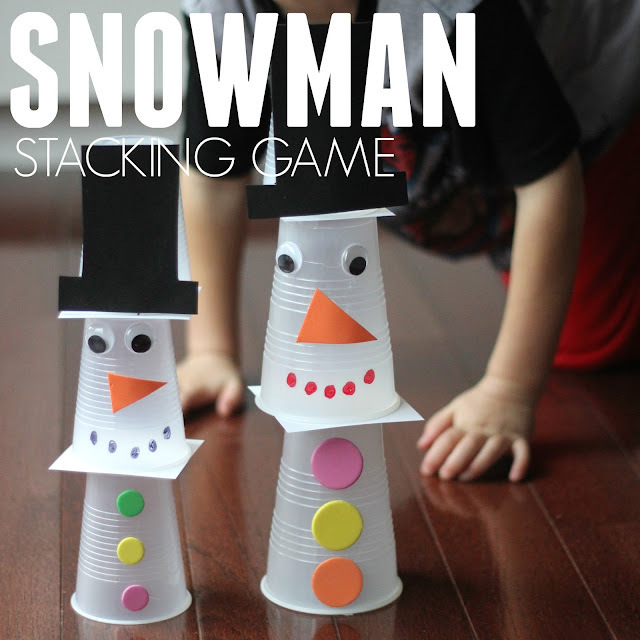 You can only watch so many hours of movies before everyone is bored and grumpy though... which is why we pulled out some plastic cups and made these goofy snowman stackers. To get started we warmed up our hot glue gun and got our snowman materials ready. On one plastic cup we glued three foam buttons. On another cup we glued two googly eyes and one foam carrot nose. On a final cup we glued a black foam hat. Once the hot glue dried we were ready to start stacking! In order to snack the snowman cups you need to put one cup down, then put a square piece of cardstock on top of it... then add a second cup... and then repeat adding a piece of cardstock followed by a third cup. Once the snowmen are stacked it is time to start knocking them down! Both of my kids thought this was the entire part. As you can tell from the photo above, my daughter thought this game was amazing. She just kept laughing and laughing after she knocked everything down. Check Instagram stories to see the video footage later this week. We loved that this game used cups we already had in the house AND that the other materials were quick to find in our craft cupboard! 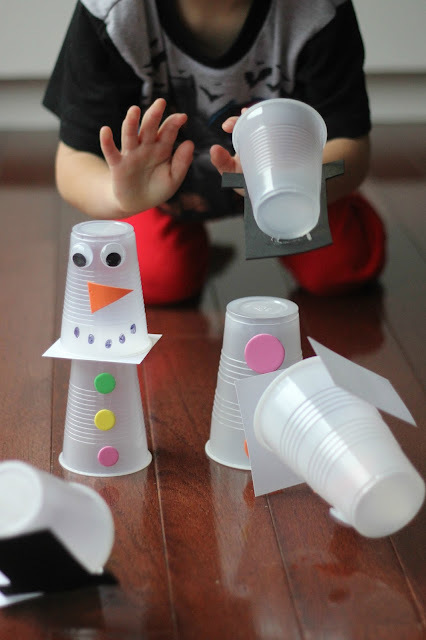 Check out this magnetic build a snowman craft from Fun with Mama!